Let’s encourage and pray for our missionaries! 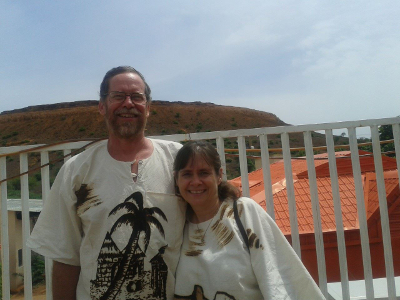 Jonathan and Bonnie Moore are serving with SIM in Niamey, Niger. Jonathan serves at SIM’s Niger head office and Bonnie is teaching women in town who have little to no schooling how to read and write in their own language. For current updates on the Moore family, click here. You can reach them at jonathan.moore@sim.org -or- bonnie.moore@sim.org. 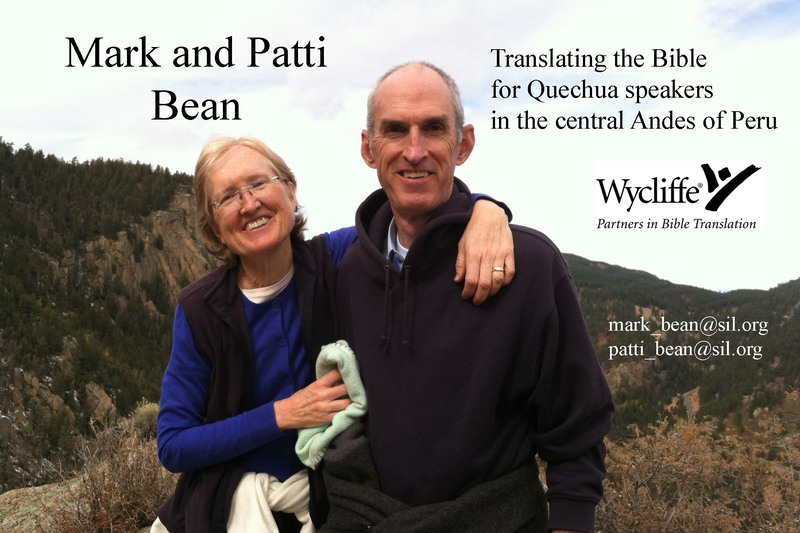 Mark and Patti Bean and family are serving with Wycliffe Bible Translators in central Peru. They are translating the scriptures into the Quechua language for speakers in the Andes mountains. Their e-mail address is mark_bean@sil.org. For current news click here. Dan and Nancy Lupton serve as missionaries in Svitavy, Czech Republic, with First Love International. Click here to visit their website or email them at Dan@Czechoutreach.org or Nancy@Czechoutreach.org. 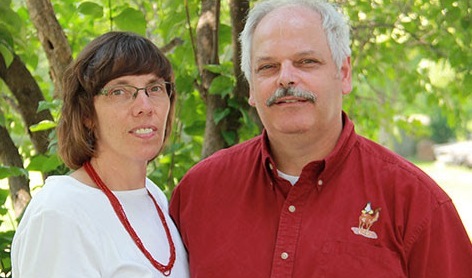 Randy and Wanda Potratz will be serving as missionaries in Niger with SIM. Randy will be working in a wide array of technical services and discipleship roles, and Wanda will be serving young women in Niger through literacy and women’s ministry programs. Click here to see Randy’s website or you can email them at randal.potratz@sim.org or wanda.potratz@sim.org. John Mark and Sara Sheppard serve as missionaries in Liberia with SIM. They work among the unreached Manya people group, helping believers grow in their faith through discipleship, leadership training and scripture resource development.Click here to see their website or email them at johnmark.sheppard@sim.org. Here is an interview Nate Lehner did with them. Andy Thoman serves with InterVarsity Christian Fellowship at UW-Oshkosh evangelizing and discipling Professional Students. Click here to see his website or email him at thomaa02@gmail.com. 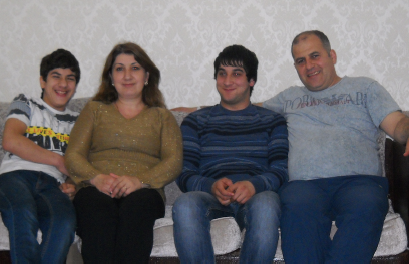 Iftikhar and Sevda Kardashov serve in Dagestan, a republic of Russia bordering the Caspian Sea, with help from the Slavic Gospel Association. You can send correspondence to him to the SGA Office (attention Shirley Davis) or email Shirley at shirleyd@sga.org. Howard and Marilynn Plucar – Since 1988 the Plucars have been on staff with ReachGlobal, including serving as regional directors in Asia. Both the Plucars continue to shepherd ReachGlobal staff in various ways. Contact them at Howard.Plucar@efca.org. Bruce and Mary Damon are missionaries to Macau, China. They are serving with theEvangelical Free Church Mission and have helped launch a church plant for families with special needs. For more info, see their presentation here and the explanatory notes here. For current news and prayer requests click here. You can contact them atbhdamon@efcaim.org;. Andrea Weiss and her husband Tobi live in Austria They are attending university where Andrea is busy learning German. Andrea and Tobi serve their church and share their faith with others. Trinity Western University is a respected disciple-making academic community preparing leaders in 38 undergraduate programs and 14 masters programs. Their mission is to develop godly Christian leaders: positive, goal-oriented university graduates with thoroughly Christian minds; growing disciples of Jesus Christ who glorify God through fulfilling the Great Commission, serving God and people in the various marketplaces of life. Trinity International University is a family of four “schools”–academic institutions all under the umbrella of the university: 1) Trinity Evangelical Divinity School, one of the largest seminaries in the world, 2) Trinity College, a liberal arts college with campuses in Miami and Deerfield, offering a wide range of majors, 3) Trinity Graduate School, & 4) Trinity Law School, one of the few evangelical law schools worldwide. The university’s mission is to “form students to transform the world through Christ,” with core values of Christ centeredness, Comprehensive education, Community, Church connectedness, and Cultural engagement. We have also supported people within our congregations who go on short-term mission trips. If you have a trip planned, you can get an application to fill out here.